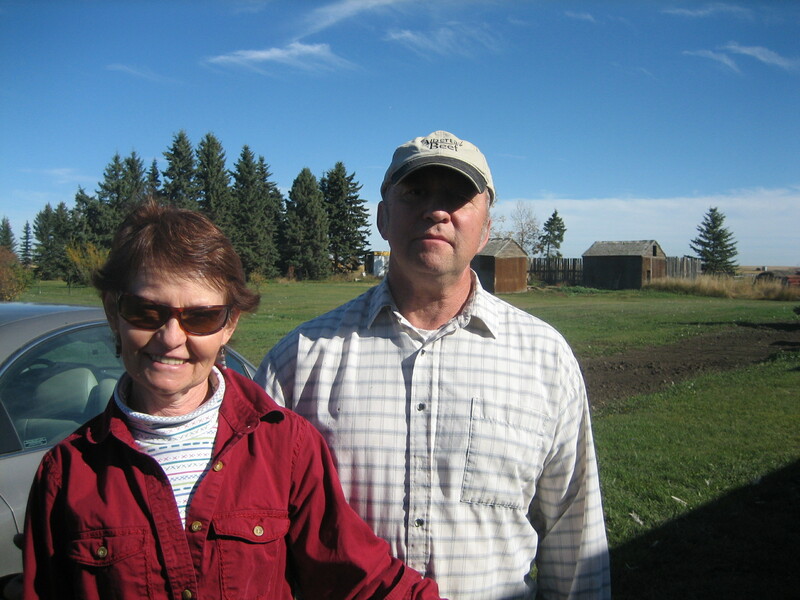 I’ve known Darrel Winter and his wife Corrine Dahm since about 2005 when I started doing volunteer work for Slow Food Calgary. I met a lot of Alberta farmers in the six years I worked actively on the board of that organization. Winter and Dahm stood out. Anyone who meets them appreciates the honest and earnest way they conduct themselves and how that translates to the animal husbandry practices of their turkey farm. In 2007 I first visited their farm and started calling it “the turkey spa”. Beyond a wholesome farm smell, the air is crisp and clean. There is fresh straw bedding laid daily for the turkeys. They have access to the great outdoors, food and water at all times. They are calm. Their life is calm. The only thing missing is a bit of Bach playing softly in the background. Winter’s father converted the farm from chickens to turkeys in 1958 and Winter still feeds the turkeys the same program his father devised. We’ll talk a bit about that here, share some photos and I’ll share my favourite way to cook a turkey.